In this compilation, the authors review pre-analytical procedures, as well as analytical conditions, to determine melatonin in both biological and non-biological samples. Several procedures for the extraction of melatonin have been described, including ultrasound-assisted extraction, liquid–liquid extraction, and solid phase extraction. Following this, a study is presented wherein melatonin administration in middle-age rats was able to recover prostatic morphology and strongly decrease amiloyd bodies deposition even after obesity induction. These results were probably related to total GST activity improvement. The authors maintain that melatonin should be used as benign prostate hyperplasia chemoprevention due to decreased cell proliferation, even in hyperlipidemic medium. 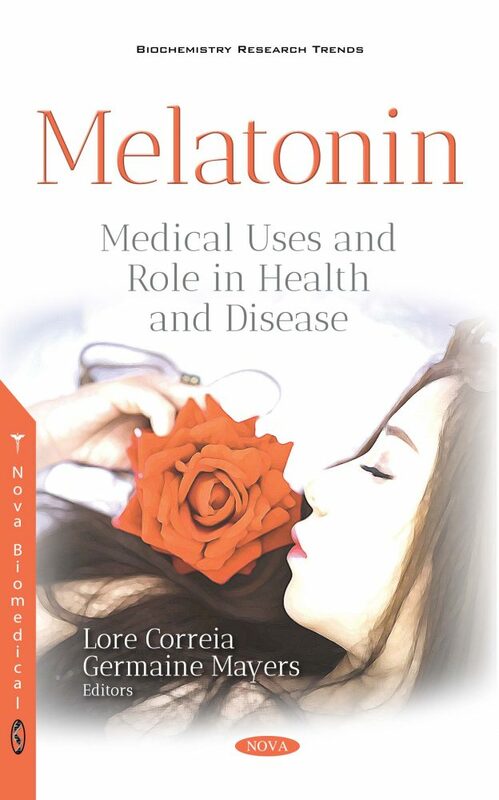 The functions of melatonin receptors in health and disease are reviewed, with specific references to their involvement in mood, anxiety-related and neurodegenerative disorders; and the possibilities of melatonin receptors as mediators of melatonergic therapeutics. Next, the current knowledge regarding immunomodulatory properties of melatonin are reviewed in conjunction with its effect on non-specific, humoral and cellular immune responses with particular emphasis on the production of reactive oxygen species and cytokines as well as on apoptosis. The authors go on to underline the pleiotropic effects of melatonin to ameliorate the molecular and organ/tissue damage associated with brain ischemia based on preserving the functional integrity of the blood-brain barrier, inducing neurogenesis and cell proliferation through receptor-dependent mechanism, and improving synaptic transmission. Additionally, they examine the role of MT1 and MT2 receptors in neurological disorders and the therapeutic effects of melatonin receptors agonists on the central nervous system disorders. The book deliberates o the way clinical trials in antipsychotic medicated patients suggest some positive effects for melatonin, but the studies have substantial shortcomings. The mechanism by which melatonin exerts any clinical effects remains largely un-investigated. The strength of the clinical evidence for an effect of melatonin, like that of the pre-clinical studies, is equivocal. An overview of the range of disorders and conditions that they may be improved by melatonin administration is provided, followed by consideration of the processes that may underlie these changes. In the final chapter, the authors summarize the data documenting the use of melatonin and its beneficial effects in oral related-diseases, such as bisphosphonate-related osteonecrosis of the jaw, periodontitis, mucositis, cancer, and/or oral infection.